* Built-in Media Grabber & Video Sniffer. * Built-in download scheduler for multiple queues. * Batch downloads function with clipboard capture. * Automatic convert media format after download. * Flexible notification configurations and Silent Mode (Game Mode) function. * Supports multi-language interface (more than 30 languages). 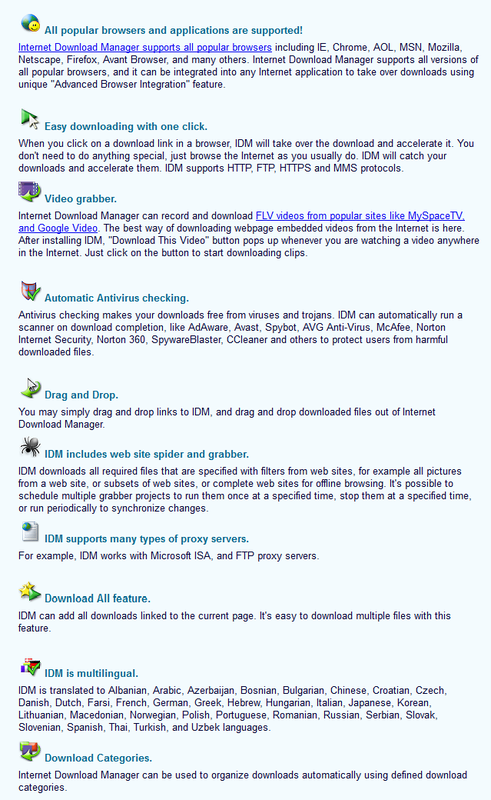 Highlights EagleGet is a free all-in-one download manager; it can be integrated to Chrome, IE, Firefox, Opera, offering support for HTTP, HTTPS, FTP, MMS and RTSP protocol as well as popular online video websites. 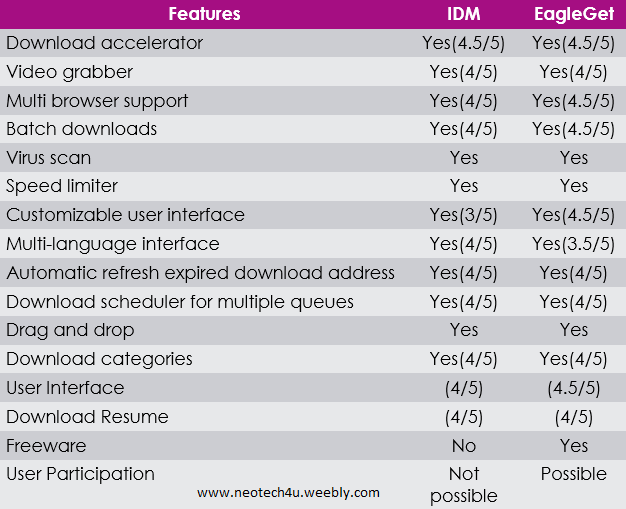 EagleGet uses advanced multi-threaded technology to speed up connections, along with automatic, manual and batch downloads. Downloading jobs can be dynamically adjust the priority, as well as sorted by various criteria. EagleGet supports multiple download queues with smart scheduler. It is possible to run different downloading jobs at corresponding fixed time or on any day(s) of the week. EagleGet automatically detects media contents on any website. The unique ad-free Media Grabber & Video Sniffer batch download HD videos with a single click. Media format conversion is also possible by installing proper component. EagleGet provides flexible notification configurations. The featured Silent Mode can temporarily turn off all notifications while a full-screen application or PC game is running. EagleGet contains automatic malware checker and file integrity verifier, the features that protecting users from virus attack as well as ensuring the downloaded file is genuine from the original. 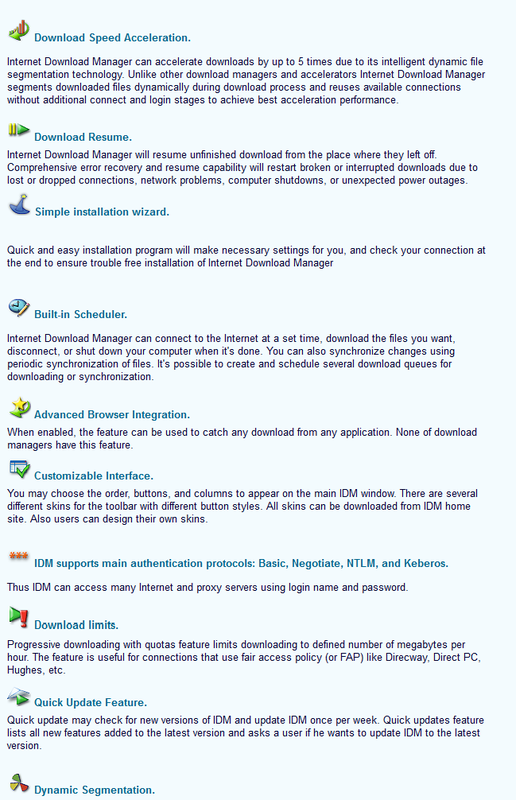 EagleGet is the first freeware download manager that supports the automatic refresh expired download links feature, which can auto update download URLs without re-starting from the beginning. EagleGet has visually appealing interface, and it’s completely free without any virus, malware or spyware. ← Blackberry Windows 10 mobile | Is it possible?